US Vice-President Mike Pence on Saturday (18 February) led a chorus of reassurance for allies rattled by Donald Trump’s policy stance, but European leaders gave the pledges a lukewarm welcome. “Be assured that President Trump and our people are truly devoted to our transatlantic union,” he said at the Munich Security Conference. Trump’s criticism of NATO as “obsolete”, his praise for Britain’s decision to leave the European Union, and his softer approach towards Russia have unnerved Washington’s allies. Pence and other members of Trump’s administration – Defence Secretary Jim Mattis and Secretary of State Rex Tillerson – stuck largely to the foreign policy rule book in a major European diplomatic foray this week. But if the aim of the visits was to reassure Europe that the pillars of US foreign policy are fully intact, they fell short of the mark, European diplomats, politicians and analysts gathered in Munich said. On Russia, the US would not relent in pushing it to honour the Minsk ceasefire accords with Ukraine, said Pence. “The United States will continue to hold Russia accountable, even as we search for new common ground, which as you know, President Trump believes can be found,” the vice-president said. And Tillerson said the US would cooperate with Moscow but only when doing so “will benefit the American people”. 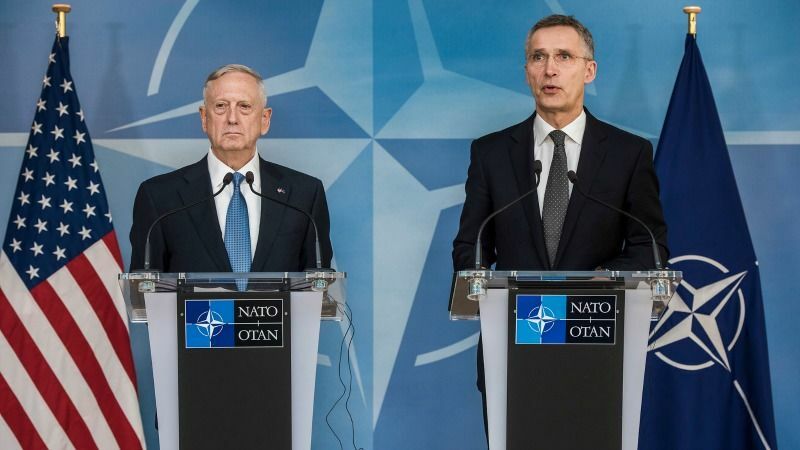 On NATO, Mattis emphasised that America remained “rock solid” in its support of Article 5 – the alliance’s core “one for all, all for one” collective defence tenet. In response, German Foreign Minister Sigmar Gabriel said he “had no doubt that the American vice-president and the defence secretary will do everything to fulfil their commitments to NATO as in the past”. 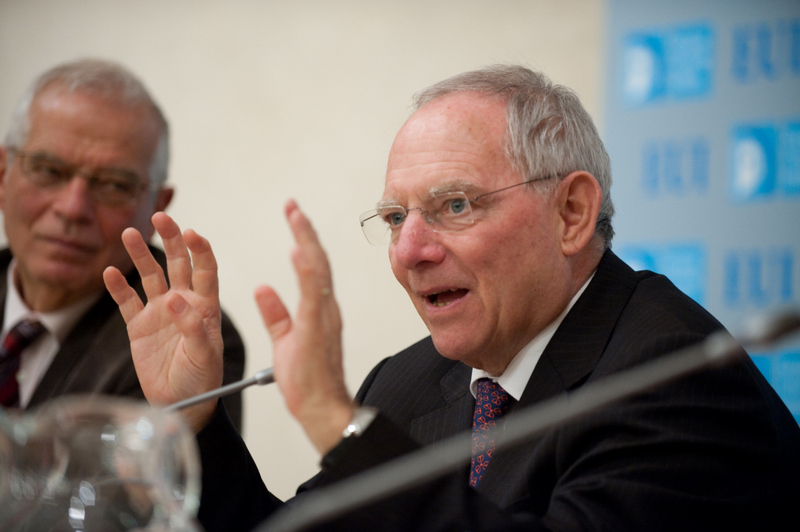 German Finance Minister Wolfgang Schäuble said on Friday (17 February) the European Union must take on a bigger international role, saying the answer to crises from security to climate change was to stick together and stop relying on the United States. “I don’t want to accuse Pence prematurely; he is going to Brussels on Monday and I hope that we will have a clear response on this question because Donald Trump gave the impression that he welcomes Brexit and that there would be more to come,” said Ayrault. “The future will give more clarity on all the issues … I don’t believe in everyone for himself, in solving questions through force or through deals,” he said. US politicians, in attending the conference in Munich, pointed to a chasm between what Trump’s envoys and the president himself said. US President Donald Trump’s defence secretary warned NATO allies yesterday (15 February) that they must honour military spending pledges to ensure the United States does not “moderate” support for the alliance. “Looks like we have two governments,” Democrat Senator Chris Murphy said in a tweet. Pence spoke about “shared values between the US and Europe (but Trump) openly wages war on those values”. German Chancellor Angela Merkel made no direct mention of Trump in her address in Munich. However, she championed a clear message of international cooperation rather than the feared isolationism of the president’s “America First” strategy. “In a year in which we see unimaginable challenges we can either work together or retreat to our individual roles. I hope that we will find a common position,” she said. Amid the turmoil, Russia stepped in to call for an end to what it called an outdated world order dominated by the West. Russian Foreign Minister Sergei Lavrov said he hoped the world “will choose a democratic world order – a post-West one – in which each country is defined by its sovereignty”. 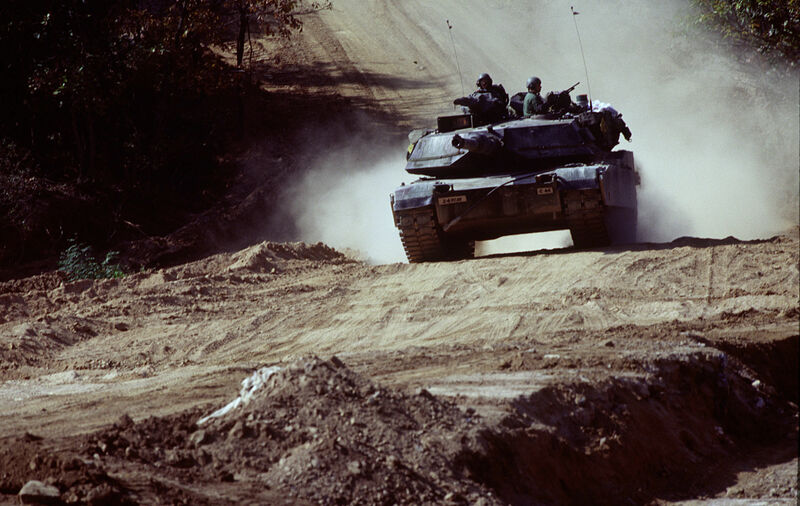 The time when the West called the shots was over while NATO was a relic of the Cold War, he said. 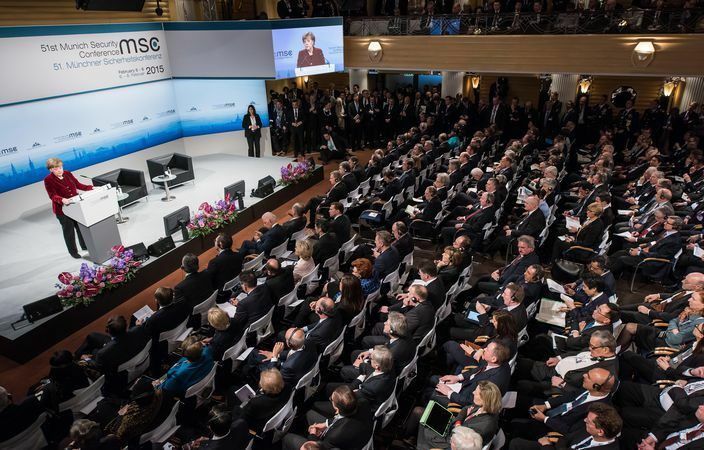 Munich Security Conference: Start of a post-Western era? The Western world order as we know it is at risk, according to the annual Munich Security Report. Euractiv Germany reports. In its place, Moscow wanted a relationship with Washington that is “pragmatic with mutual respect and acknowledgement of our common responsibility for global stability”. Moscow has been impatiently waiting for Trump to make good on his pledge to improve ties which plunged to a post-Cold War low as Barack Obama slapped on sanctions over the Ukraine crisis and Russia’s alleged meddling in Trump’s election. On the campaign trail, Trump repeatedly praised Russian President Vladimir Putin and voiced his willingness to work with him in fighting terrorism. But in the face of growing controversy over its links to Moscow, Trump’s administration appears to be backing off the warmer words used earlier for the former Cold War foe. 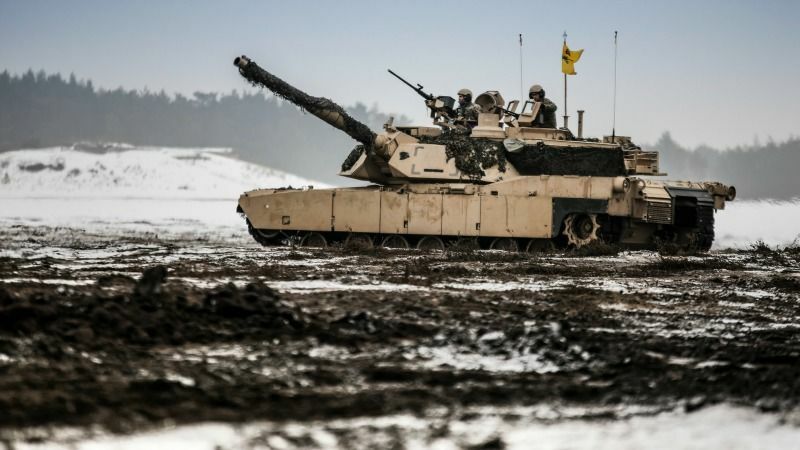 Germany and NATO yesterday (7 February) underscored their commitment to beefing up the defence of Eastern Europe's border with Russia as the first of four new battalions under the North Atlantic alliance's banner arrived in Lithuania.